BATTLE CREEK, Mich., Aug. 14, 2017 /PRNewswire/ -- Most women admit to questioning what they should or shouldn't eat, but it's surprising to know just how much time they spend doing so. In fact, new research1 commissioned by Special K shows 90 percent of women in the United States question or doubt their food and spend 61 minutes second-guessing their choices – every day. 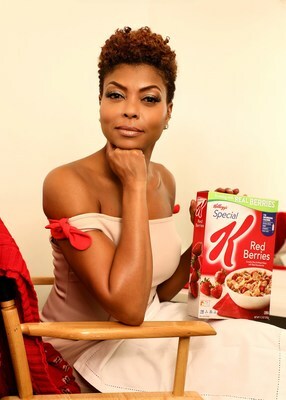 That's an hour trying to decide what you "should" eat, regretting what you eat, wondering if a bad choice was "worth it," or figuring out how to balance an "indulgence"
Special K is on a mission to change that, and has teamed up with Oscar-nominated actress Taraji P. Henson to rally women to ditch the doubt, feel good about their food choices and #OwnIt. "It's a problem because questioning your food is limiting you from living your life at full strength," said Henson. "As women, we need all the strength we can get. In fact, being strong is as important as being happy. 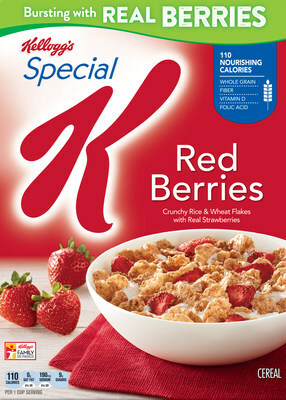 That's why Special K is rallying women to ditch their food doubt." Henson will appear in New York's Times Square today in front of an oversized clock-inspired installation. 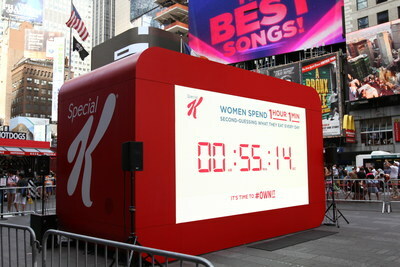 For 1 hour and 1 minute, the clock will show examples of how real women second-guess their food choices every day. 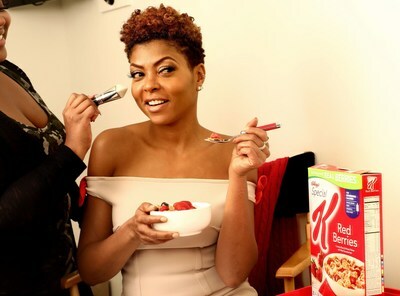 Then, at 1:01 p.m., Henson will take the stage to share her own food doubts, and how she is able to ditch that doubt with Special K.
To join Henson and Special K in taking back every second and eating with confidence, tag Special K on Instagram, Facebook and Twitter using #OwnIt today for the chance to have your social content displayed on the Times Square clock in real-time. 1 Kellogg's commissioned a 15-minute online survey among 4,000 women and men aged 21 -55. They were asked questions on food, and specifically what makes them hesitate, question or regret food. The margin of error for this sample is +/- 1.54 percent at the 95 percent confidence level. The survey was fielded in June 2017.